and more costly description, however, intended for the draw-ing-room, boudoir, and apartments of importance, we find such legs as those portrayed in Figs. 19, 20, 21, 22, 23, 24, 26, and 28, Plate II. The turned legs, Figs. 25 and 27, furnish still further evidence that this designer was not averse to following on " Sheraton " lines ; indeed the second of the two is, to all intents and purposes, pure " Louis-Seize," such as delighted the heart of Sheraton. Legs of the type shown in Figs. 20 and 21—that is to say, curving gracefully outwards at the tapered toe—are not often to be met with at the period of which I am writing. This is rather surprising, for these are without question extremely graceful, and greatly enhance the beauty of the chairs in which they are found. Lastly, so far as 44 Heppelwhite " legs are concerned, the " cabriole " was sometimes introduced by this designer, but only in those patterns the design of which was avowedly after French models, and they are not at all common in this style. Regarding the general dimensions of these chairs, the measurements specified by the designer himself are as follows: 44 Width in front, 20 inches ; depth of seat (from back to front), 17 inches; height of seat-frame, 17 inches ; total height about 3 feet 1 inch." They are, with very few exceptions, made in mahogany, either carved, painted, or inlaid ; with seats and other upholstered parts covered in horsehair, plain, striped, chequered, or in other patterns ; or with cane " bottoms," on which were placed loose cushions, the " cases " of which were covered with the same fabrics as those employed for the curtains of the room in which the chairs were destined to find a place. Sometimes red or blue morocco was employed for the covering, most frequently where both back and seat were upholstered ; medallions of printed, or painted, silk were inserted not infrequently into the back. When the backs and seats were of leather they were often tied down by means of tassels of silk or thread. exception, designed for the furnishing of the drawing-room, and exemplify, as completely as we could desire, the extreme delicacy and daintiness of " Heppelwhite." They stand out in marked contrast to the comparative heaviness—by " heaviness" I do not necessarily mean clumsiness—which, as we have seen, characterised the majority of Chippendale's productions. On this plate we have a selection of tables of different kinds, and for various purposes—for the enjoyment of light refreshment, writing, card-playing, etc.,—which indicate how that particular piece of furniture, together with many another, was undergoing numerous transformations at the hands of the late eighteenth-century designer and cabinet maker. Fig. 2 is an example of the " Heppelwhite " card-table of the simpler type; Fig. 3 is one of a series of inlaid or painted "Pembroke" tables, which, says Heppelwhite, "are the most useful of this species of furniture ;" Fig. 4 is another " Pembroke," with a rectangular, instead of a circular, top; and Figs. 6, 8, and 10 are pier-tables, which, remarks the designer; "are become an article of much fashion; and not being applied to such general use as other tables, admit, with great propriety, of much elegance and ornament. . . . The height . 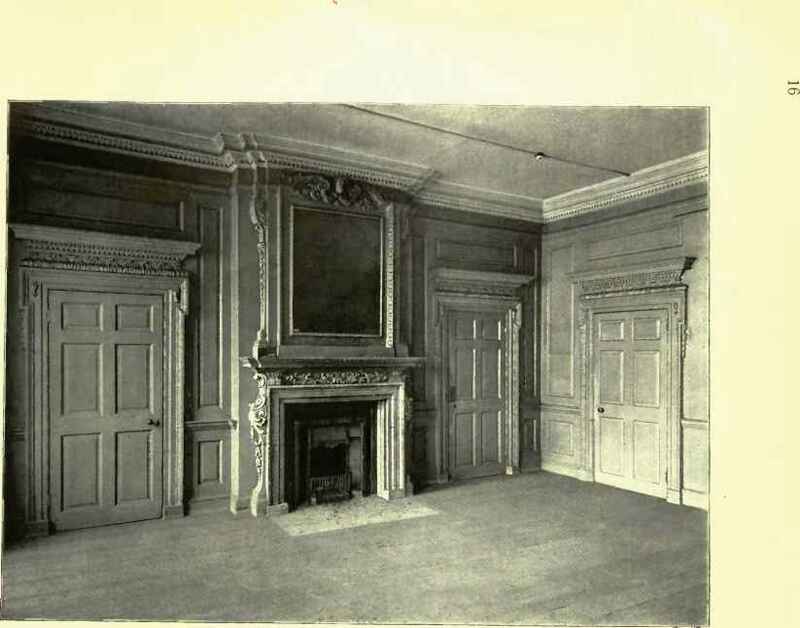 . . varies from the general rule"—28 inches—"as they are now universally made to fit the pier, and rise level with, or above the dado of the room, nearly touching the ornaments of the glass."